Doesn’t Gothic look pretty “Islamic”? 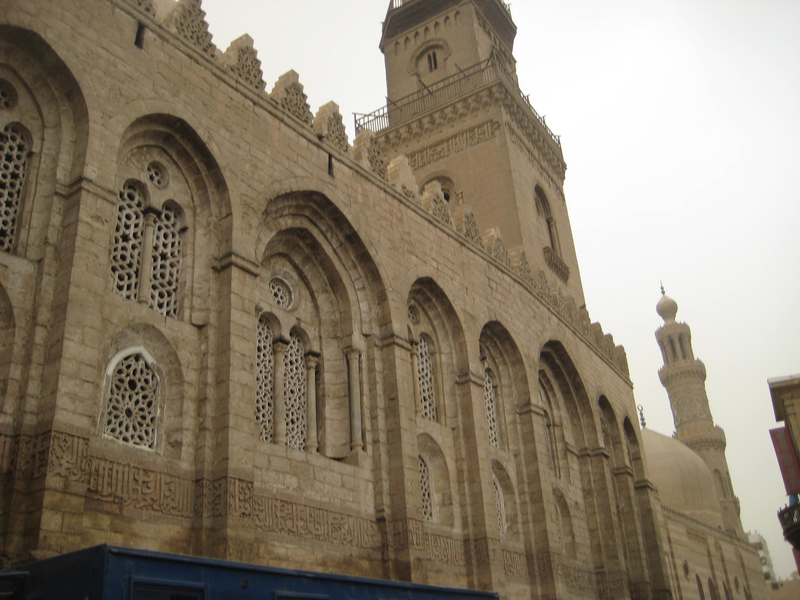 In Old Cairo, I was searching for one thing, really: the madrassah or school of the Mamluk Sultan Al Nasir Muhammad, built in the 1290s. The reason is that I knew it was a building that contained an architectural relic transported from the Holy Land. This relic is extraordinary. It is a portal from the city of Acre, in the northern part of present-day Israel, and it was part of a structure built by western crusaders in the 13th century. Acre was the last outpost of the crusaders in the Holy Land. They finally got ousted from there in a major defeat in 1291, at the hands of the Mamluks (Sultan al-Ashraf Khalil, conquered Acre in 1291, and the portal was assimilated into the facade of the madrasa by al-‘Adil Katbughaour, Sultan Al Nasir Muhammad’s predecessor). The entire portal was transported like a military trophy to Cairo. 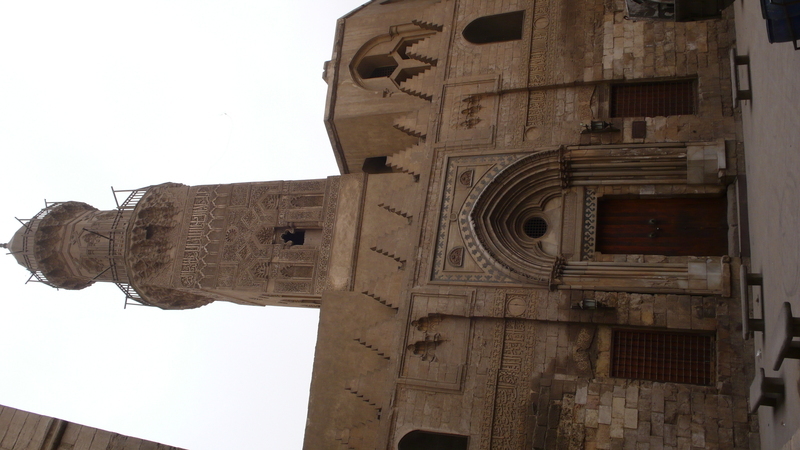 As the portal to his school for the study of the Qu’ran, built in the 1290s, it was a gem in a new setting. The thing about this portal is that the thousands of people who have walked by it every week since the 1290s probably have not recognized it as foreign. 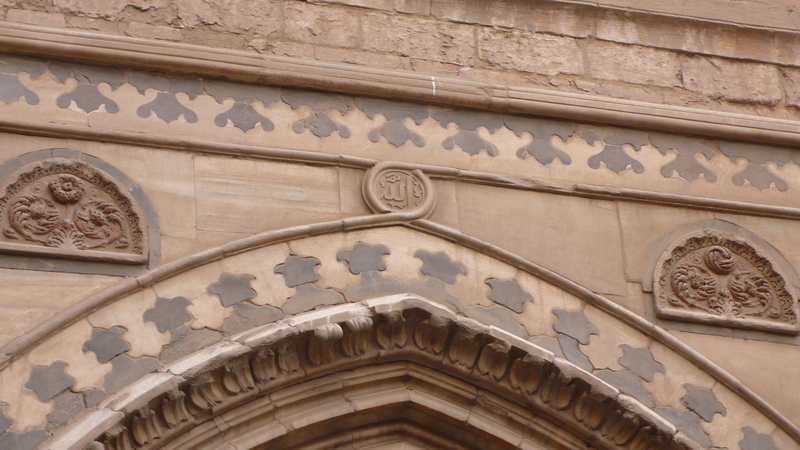 I mean, compare it to the other arches, real Islamic ones, in this same building. It’s just not that different. If you look in your textbooks, the first Gothic buildings are St Denis near Paris and Noyon cathedral, both built in the 1140s. But there is another first Gothic structure, and that is the rebuilt Holy Sepulcher church in Jerusalem, done by the crusaders. They did it in 1140 or so. 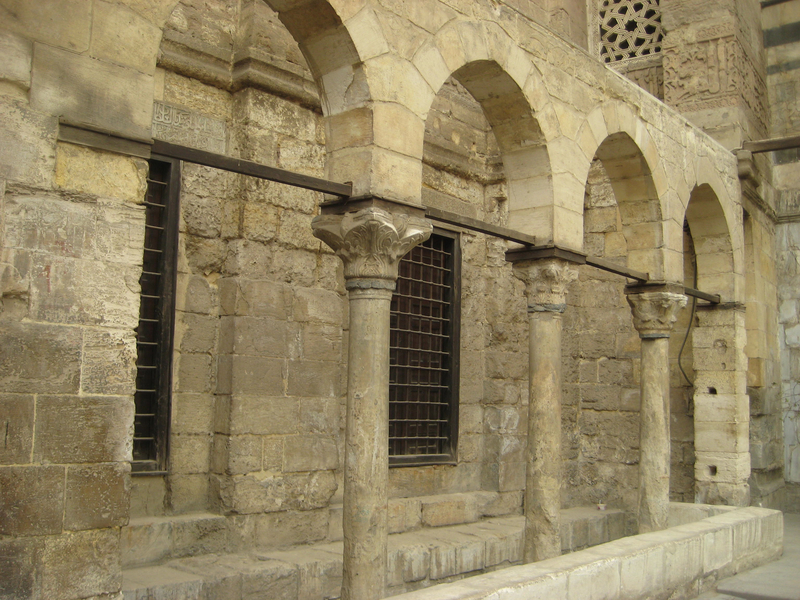 They used pointed arches on that structure because that was what they were seeing all over Jerusalem on all the important buildings. Gothic was a Holy Land import, a direct effect of exposure to the architecture of the eastern Mediterranean. 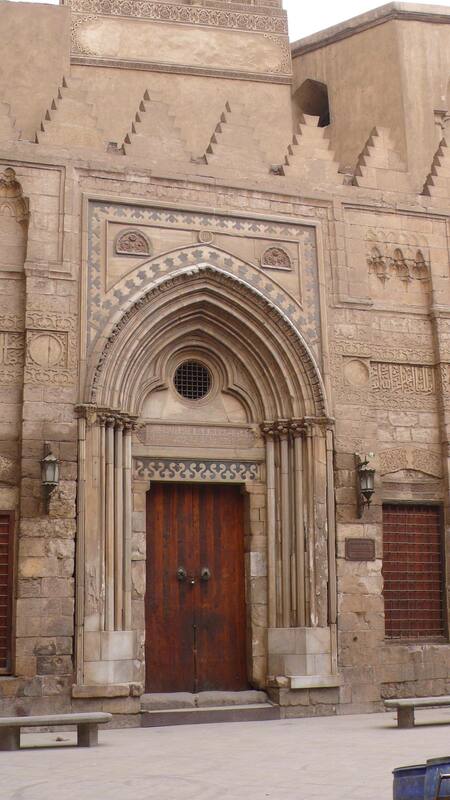 So when Sultan Al Nasir Muhammad imported this portal back to Cairo, what did he think he was doing? Was this a knowing reclamation? If that was the case, he would have been saying something powerful, something along the lines of “You thought you could occupy the Holy Land, but you barely laid a claim to it. In fact, it occupied you. And now we will re-assimilate your derivative efforts back into our grand structures.” Or is that granting too much self-awareness? Clearly he knew this was a crusader portal. He had just taken back the city of Acre. This is a trophy, and it has been islamicized. If you have any thoughts, please comment. ← Alexandria, did I miss it?
. They have found arabic numerals numbering roof beams on gothic cathedrals that were roughly contemporary with fibonaci’s visit in Andalusia.
. edward Gibbon points out that the sack of jerusalem can’t have been that bad because most of th native population haf returned within a couple of years. He attributes our impression of it’s severity to the writings of hysterical monks, like william of tyre. If you add in the the adaptation of the Normans to the culture of sicily, when they conquered it – a different picture presents itself. It seems a world where good ideas had their own legitimacy. Thank you for this very helpful comment. If you have a citation for the numerals on the roof beams, I would be very interested to read more about it. Here are a couple of scholarly sources. I thin i saw it in a bbc documentary. I wonder if when the Gothic portal hit Cairo in the 1290s it was like when the Rolling Stones first brought their metabolized blues back to the southern United States (and Chicago!) in Spring 1965.